There’s something magical about the addition of public art. Perhaps it is how the installation of a sculpture can change and reshape the landscape, or the knowledge that, moving forward through history, people will experience the art. 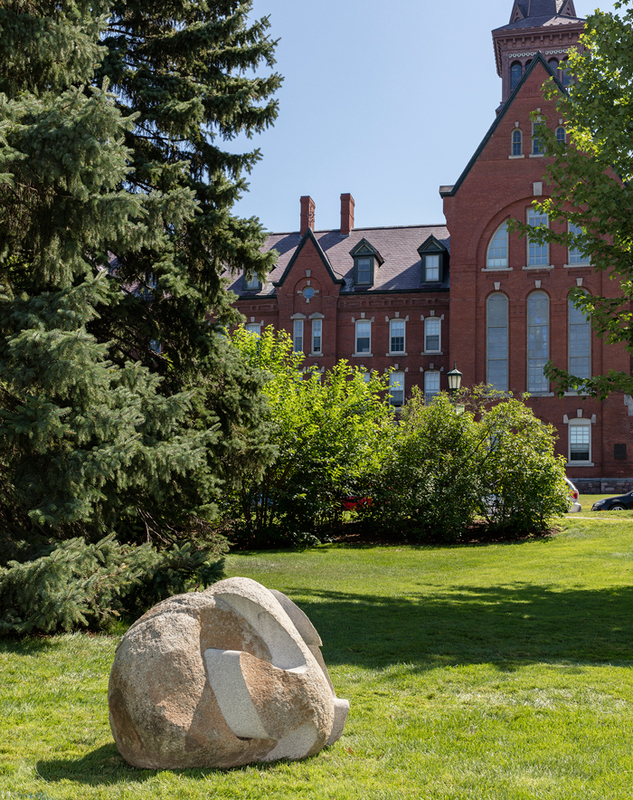 In August, the University of Vermont accepted Stephen and Petra Levin’s donation of Unlocked by Stowe artist and UVM alumnus Christopher Curtis. 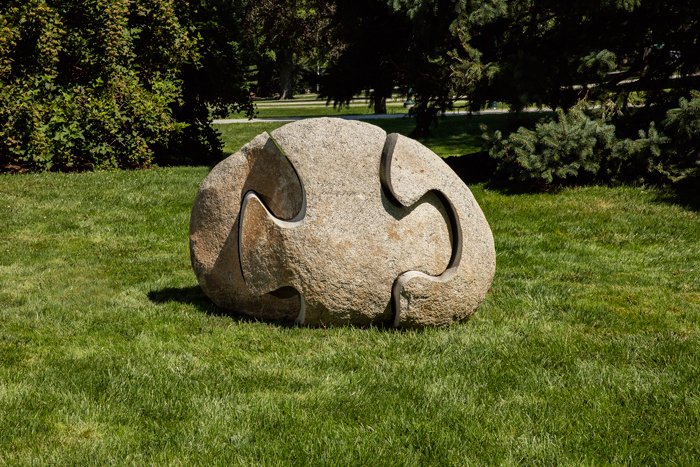 The sculpture was installed adjacent to a path on the University Green. 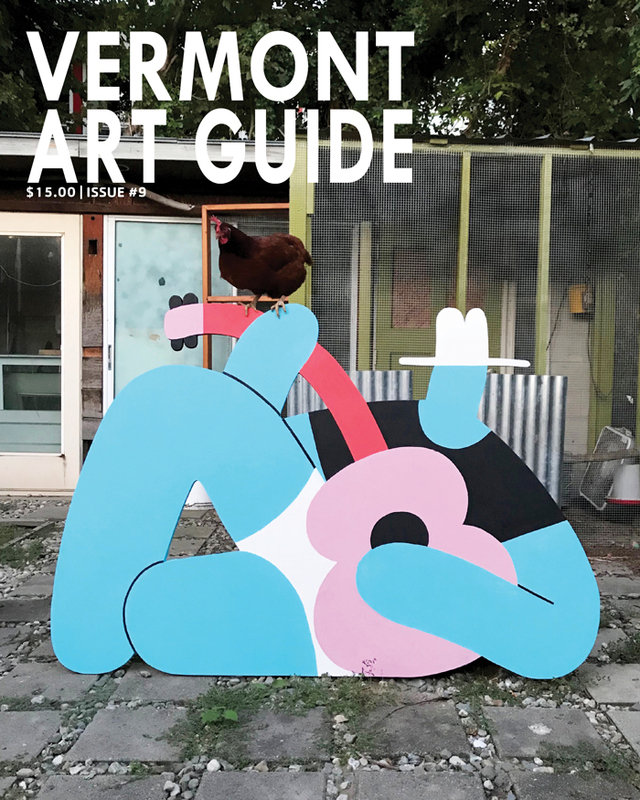 This News & Notes item appeared in Vermont Art Guide #2. 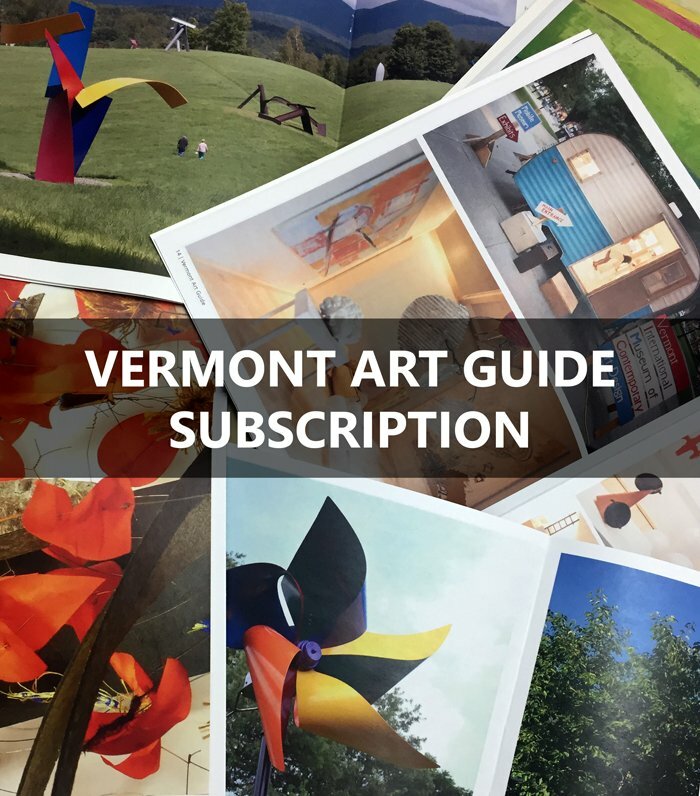 To see this and other News & Notes items, purchase Vermont Art Guide #2 or subscribe. Unlocked is a 350-million-year-old granite boulder from Groton that Curtis cut into three puzzle pieces and reassembled. The sculpture is a brilliant example of Curtis’s work. Cognizant of the rock’s history and future, the artist engages the stone in a dialogue through carving and polishing that releases an altered identity. His process marries the hand of man and the natural world. 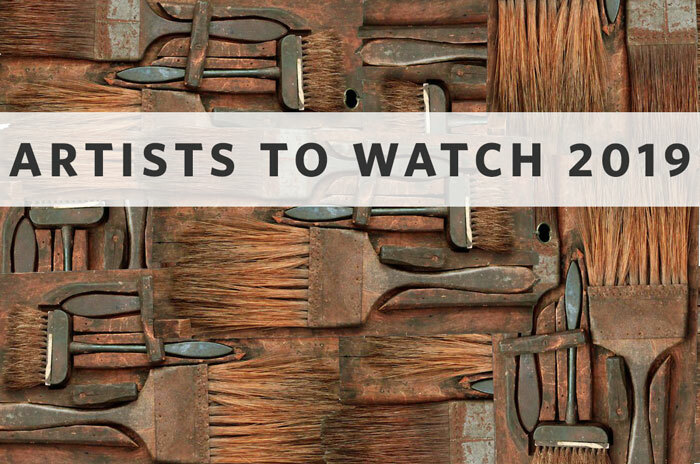 The objects allow the viewer to contemplate humanity’s place in time and the universe. This marriage of intellectual curiosity, contemplation, and natural history is a perfect compliment to the University of Vermont and a wonderful addition to its campus.